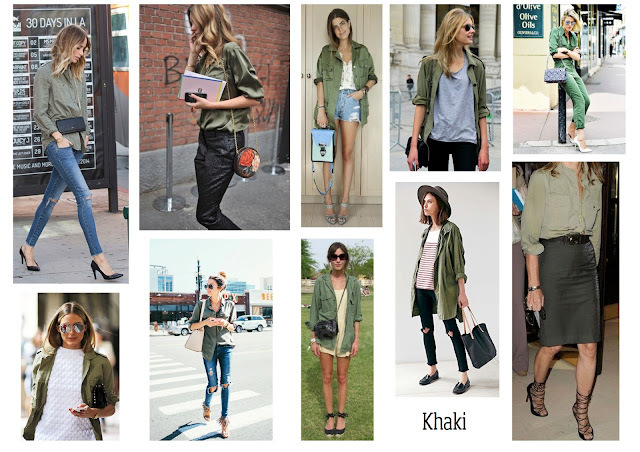 The khaki shirt, also known as the military shirt or utility shirt is mostly associated with the army but has become a fashion essential. 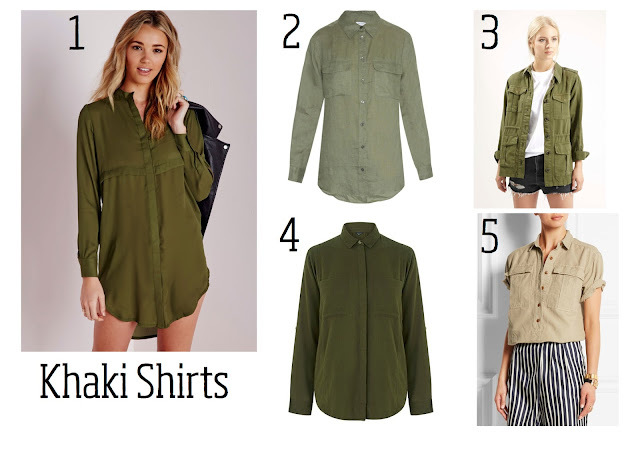 It is usually a shade of green and is a must have in your wardrobe next to the staple denim and white shirt. Below I have teamed my New Look khaki shirt with a pair of old Topshop black coated skinny jeans (Similar here) and my ankle boots (Click here for ankle boots post). Here are more looks for you to get inspiration from.